Neewer TT560 Flash Speedlite Review - Is It Worth to Buy? Home Computing & Technology Camera & Photo Neewer TT560 Flash Speedlite Review – Is It Worth to Buy? 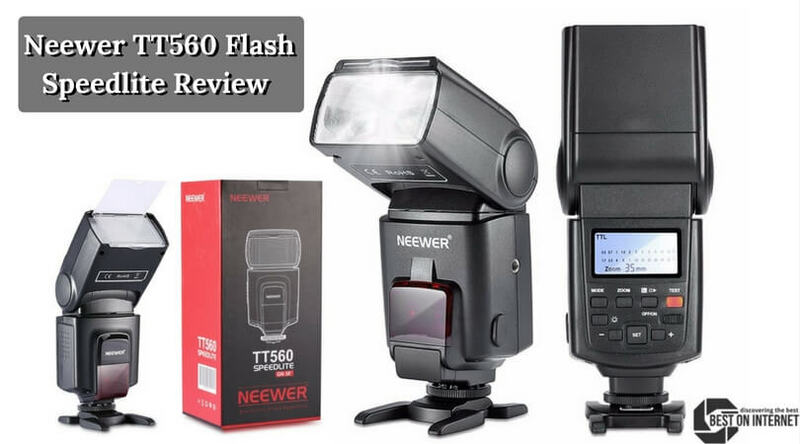 Neewer TT560 Flash Speedlite Review – Is It Worth to Buy? The Neewer TT560 Flash Speedlite is an entry-level external flash for Canon and Nikon cameras and other DSLRs. Technology advancement has made the new gadgets much more feature-rich yet available at affordable rates. This also applies to the DSLR cameras and their accessories like battery packs, tripods, SD cards, external flashes, etc. All these things had led many amateur photographers to jump into the field of photography. The range starts from the professional photography to an outstanding family pic taken by a newbie. The find of top-class external Speedlite flashes has made this even more interesting and sporting. Today, we will take a look at the Neewer TT560 Flash Speedlite review and check whether it is worth to buy or not. Is Neewer a good brand? For online buyers, Neewer is a new brand, but seriously it has good reviews on Amazon. Neewer provides great products at cheap prices. Many people think that the company must be selling Chinese products, but as per my experience with the Neewer flashes, I found them as good as the branded Nikon flashes. So, I can conclude that the Neewer is a good brand to buy an external flash for Canon and other DSLRs. As per the market, the Neewer TT560 is a more budget-friendly external Speedlite flash than the other brands. It is designed in such a way that it can fit most of the camera brands, especially with Canon DSLRs. It is perfect for the amateurs who are just beginning to test their skills in photography. If you think to upgrade your camera unit in future, then you can use it as a slave flash too. This specially built Canon Speedlite flash also comes with a tripod attachment. The use of a tripod stand is to let you capture a perfect shot in different circumstances. It helps you to take great pictures without worrying about holding it for a long time. This makes the Neewer TT560 even a better choice as its competitors do not provide this in the same price category. The Neewer TT560 has a matte black finish on a hard plastic material. This may look cheap, but if you take good care, then it can last for long. The horizontal and vertical rotation angles make it the best external flash for Canon and Nikon DSLRs in all types of environments. Despite an LCD screen, it comes with eight LED indicators on the rear side. The buttons for test flash, power on/off, mode selections, and output control are also placed alongside the sensors. Overall, the TT560 has a robust, cheaper, and catchy design. Since I am using the Neewer TT560 more than a month now, I have to admit that it does not have let down at any time when it comes to the performance. I own the Canon EOS M3, and the 560 completely fits on it. It worked far better than my previous Bower SFD728C TTL flash for Canon. All the sensors, LED indicators, PC synchronizations, buttons for testing and power, everything works just awesome. For the beginners like me (yes, I am still amateur in this) in photography, the TT560 is best compared to the other external Canon flashes in its category. It has the quickest recycle time and better adjustment for the flash power in manual mode. S1 mode works well when using a slave flash in the manual flash environment and S2 working better as same in TTL flash environment. Until the time I wrote this review, this flash has given far better performance than I expected and I hope it will continue this for a long time. The TT560 operates on four AA batteries. It comes with eight power settings; 1/1, 1/2, 1/4, 1/8, 1/16, 1/32, 1/64, and 1/128 which help to control the power consumption and overall output of the flash. It has a better flash power than the Canon 430 EX II and 580 EX II which makes it a great Speedlite in a modifier shooting environment. Let’s compare the Neewer TT560 Vs Altura Photo E-TTL Flash. The Neewer TT560 is a beginner-friendly Canon Speedlite flash which provides smooth operation for the for the first-time clicking hands. On the other hand, the Altura Photo E-TTL is designed for professionals and offers a full TTL metering in a manual and fully automatic modes. 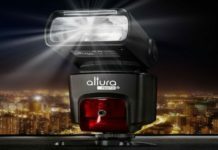 The Altura Photo E-TTL flash comes with an LCD screen which is easy to read, while the Neewer TT560 Speedlite comes with eight LED sensors for the identification of different levels and tasks. The Neewer TT560 offers horizontal and vertical rotation angles of 2700 and 900 respectively, while the Altura professional flash has power zoom ranges from 24 to 105 mm in seven steps. Overall, if we compare both these brands for Canon external flash, then we can say that the more user-friendly features of Neewer TT560 Speedlite make it best for beginners, while the pros in photography can surely go for the Altura Photo E-TTL flash. Is it worth to buy Neewer TT560? If you are a rookie in photography, then you will not find any better external flash for Canon than the Neewer TT560. Not only for the beginner photographer. but as it comes with the great features at such a budget-friendly price, it can turn into a top-catch for the pros as well. 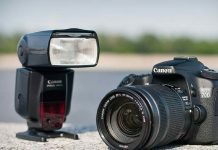 Robust design, superior build quality, lightweight, and solid performance, all at cheap price make the it a great external Speedlite flash for Canon, Nikon, and other DSLRs. I can conclude that the Neewer TT560 a worth to buy product and a value for the money speedlite flash.